How can I track my CE requirements and completions on Table Mesa? Did you know that our Table Mesa software can record all CE courses and show you your progress to completion on your dashboard? Once you add a license to your account, your dashboard will be fully functional, and list all of your requirements (based on your license type and location). Each requirement will be shown in its own box, like the example dashboard below. If you click the "VIEW" button on each requirement, a custom search results page will come up, showing only courses that meet that specific requirement for your state or location. As you complete courses, your dashboard will update and show how many hours of credit you have completed with Table Mesa. You can track your overall progress towards renewing your license at the top of your dashboard, where you will see a graph with a percentage in the middle. When it reaches 100%, you will have met all your requirements to renew! 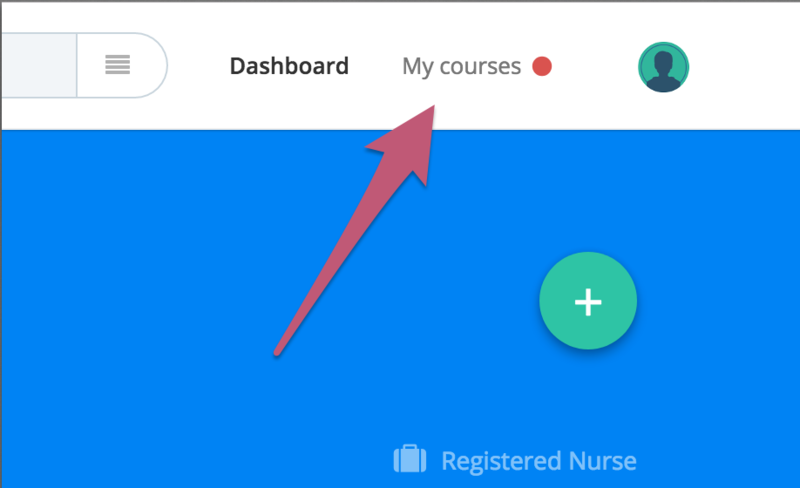 You can add non-Table Mesa courses to your dashboard too! Let's say you took some courses before you found Table Mesa, or you saw we didn't have a course you needed, so you took it elsewhere. You can still include those courses in your dashboard and track them with Table Mesa. The only thing you need is your completed CE certificates on hand. Before beginning, make sure you have correctly selected your state and given your license number on Table Mesa. To add your non-Table Mesa courses, follow these steps. 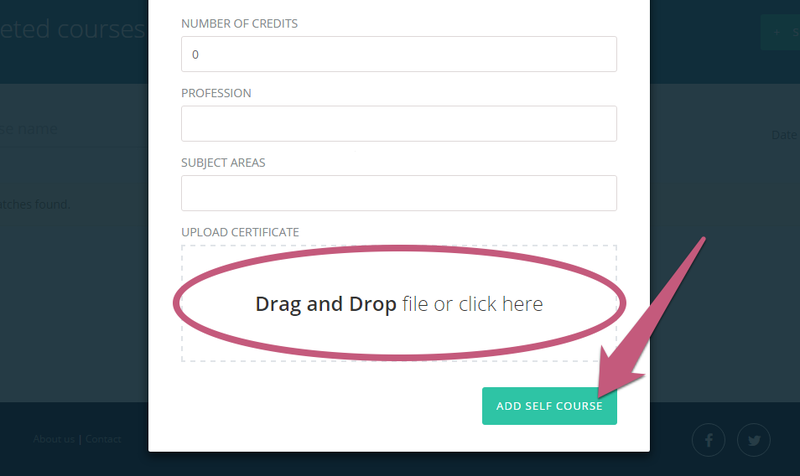 From the Dashboard, go to your completed courses by clicking on "My Courses" in the upper-right. Click on the green "Self Report" button to the right. Be sure to enter the Name of the Course, Date Completed, Number of Credits, Profession, & Subject Areas. Be sure to upload a picture or PDF of the completed Certificate. Then click "Add Self Course." 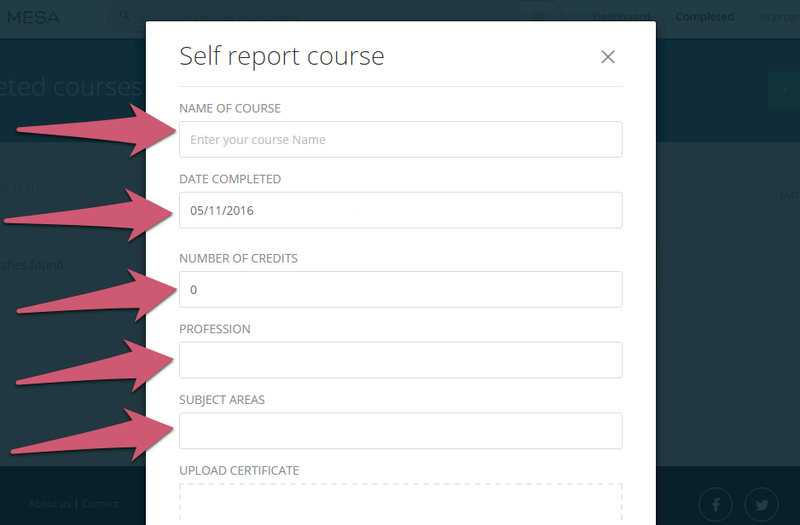 If completed successfully, you will see that your self-reported course was added to your completed courses. Once you have submitted this material, Table Mesa will add these credits to your overall completed credits within our system. That way, you can have easy access to all of your completed CE. The next time you go back to the dashboard, the credits will be reflected in your overall progress. Using this feature on Table Mesa will allow you to keep track of all of your CE credits, regardless of where you completed them. We designed this for you, to make your renewal process as easy as possible. Check it out, and let us know what you think!